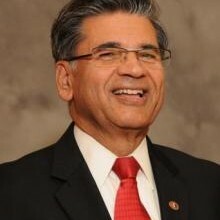 Described by the San Jose Mercury News as “Silicon Valley personified,” top ten influencers of Silicon Valley and listed among 51 most influential global Indian men, byTimes of India publication, Vish Mishra came to the United States from India 47 years ago to attend North Dakota State University. Mishra holds a BS in Electrical Engineering from the Indian Institute of Technology at Banaras Hindu University, and an MS in Electrical Engineering from North Dakota State University. He moved to the Silicon Valley in the late 1970s, where he went to work for Amdahl and National Semiconductor and started organically building the kind of support network that is very important to entrepreneurs looking for help. A respected philanthropist, Mishra is dedicated to several social causes. He is the recipient of the prestigious Angel Island Immigration Station Foundation’s Heritage Award and Asian Pacific American Leadership Institute’s Civic Leadership award. He joined Clearstone in 2002 with over 30 years of leadership and management experience in the high tech industry including software, Internet, networking and telecommunications. Clearstone has nearly $700M in committed capital with notable portfolio companies like PayPal (eBay), Rubicon Project (RUBI) BillDesk (India), The Hive, and The Fabric. Mishra prides himself on being a “mentor capitalist” who sits or has sat on boards of many venture-backed companies including Telera, Quantros, Novariant and CloudVolumes. He is the founder of companies such as Telera and Excelan and has also been the CEO of five start-ups. As the former President of The Indus Entrepreneurs (TiE) Silicon Valley, Mishra has served as a director at India Community Center and advisor to Silicon Valley Center for Entrepreneurship at San Jose State. He is the founding board member of San Francisco-Bangalore Sister City Initiative and the Bay Area co-chair for Akshaya Patra, a mid-day school meal program in India serving 1.4 million meals daily.